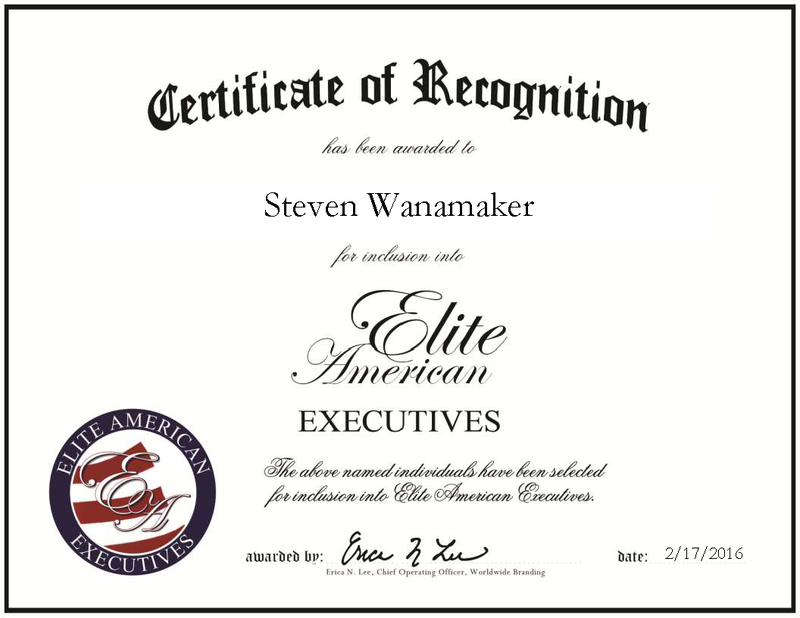 Sterling, VA, February 17, 2016, Steven Wanamaker, President of Metro Commercial Flooring, has been recognized by Elite American Executives, for dedication, achievement and leadership in commercial flooring and interior solutions. Long before Mr. Wanamaker became the sole owner of Metro Commercial Flooring, he was honing his skills in customer service, management and problem-solving. He started out in the industry during high school, and continued progressing from there. In 2012, he became the president of Metro Commercial Flooring. Based in Virginia, the full-service commercial flooring and interior solutions contractor provides a wide array of services to clients throughout Virginia, Maryland and the District of Columbia. Metro Commercial Flooring is considered a one-stop shop for design consultations and installations, focusing on flooring, painting and wall covering specifications. Its national network of suppliers provide the very latest product lines at the best possible pricing, including suppliers such as Armstrong, Bloomsburg, Hartco and Mohawk Commercial. As the president of the company, Mr. Wanamaker is responsible for overseeing business operations and financials, generating business, and handling estimates and orders. In this sense, he is widely responsible for the success of the company. Mr. Wanamaker is actively involved with the FUSE Alliance, and takes great pride in receiving business through repeat customers and their referrals to others. Metro Commercial Flooring is especially known for its expertise on complex projects, such as when the company installed a 35,000 yard carpet installation over a 300,000 square foot location at NASA in Washington, D.C. This entry was posted in Interior Services, Uncategorized and tagged commercial flooring, consultations, design, installations, interior solutions, Metro Commercial Flooring. Bookmark the permalink.